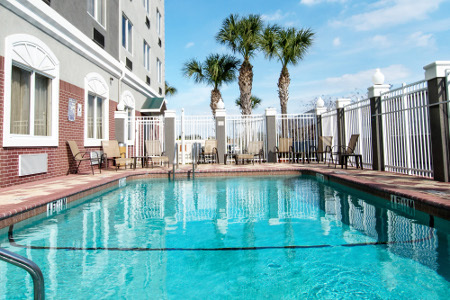 Reserve a room at the Country Inn & Suites® by Radisson, St. Petersburg - Clearwater, FL to be within easy reach of everything the Florida Suncoast Region has to offer. Located five minutes off I-275, our hotel in Pinellas Park, FL gives you access to the anglers’ paradise at Skyway Fishing Pier, shopping expeditions at Sundial and sports excursions at Tropicana Field. For some fun in the sun, make the half-hour drive north to Clearwater Beach. Slather cream cheese on a bagel, add crumbled chorizo to an omelet or scatter crunchy toppings over oatmeal at the free, hot breakfast. We serve hot coffee all day long. For lunch or dinner, walk over to WingHouse Bar & Grill. To dine at other local restaurants, drive three miles west to Da Sesto Italiano Ristorante e Vino or three miles east to Jacks London Grill. Tropicana Field – Root for the Tampa Bay Rays or feed real-life stingrays in the 10,000-gallon tank at this Major League Baseball field. Drive 15 minutes south to join other fans in the more than 1.1 million square feet of space that makes Tropicana Field one of the world’s largest enclosed sports venues. Clearwater Beach – Bury your toes in the sand and feel the warm Gulf waters lap over your feet at Clearwater Beach, a 30-minute drive northwest. While you’re there, stop by the Clearwater Marine Aquarium to meet Winter, the world-famous dolphin. John’s Pass Village & Boardwalk – Experience one of Pinellas County’s most-talked-about tourist attractions, located less than 30 minutes from our hotel. In this historical fishing village, you can explore more than 100 shops, go parasailing above the Gulf or satisfy your craving for tasty seafood. 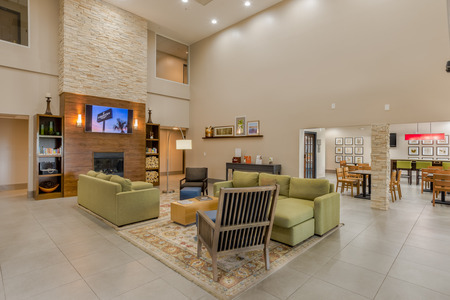 Read more about our Pinellas Park, FL hotel’s location. Invite up to 50 guests to your wedding reception, business seminar or summertime bash at our hotel. 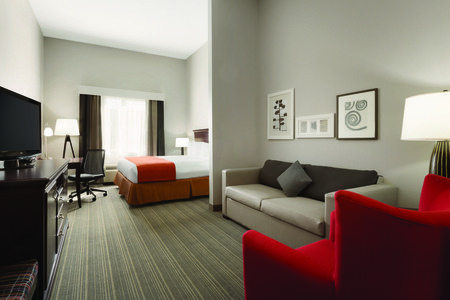 When you book our 500-square-foot meeting space, our professional staff helps you take care of the smallest details. 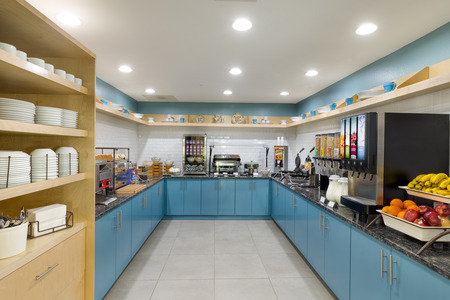 Take advantage of our audiovisual and catering options, and welcome your guests to connect to our free Wi-Fi.